hd00:14Electrical wardrobe, Fuses, wire. Electric support of high voltage power cables. Energy industry. Production, distribution and transmission of electricity. 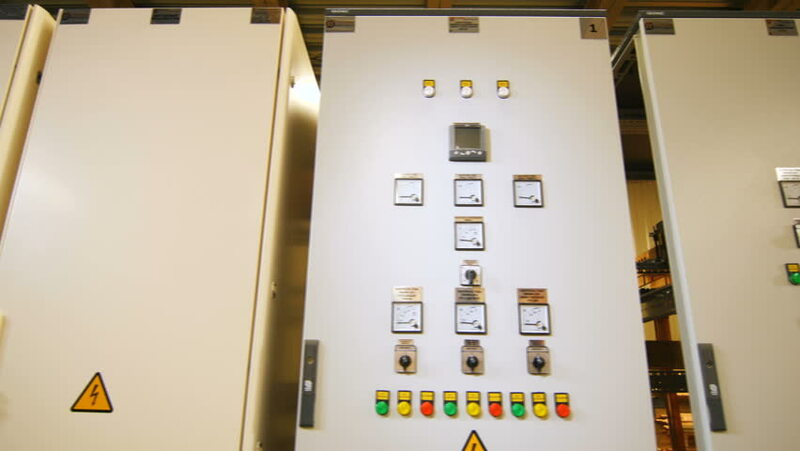 hd00:08Control cabinets, displays at an electrical substation at power plant, factory. hd00:08Protection cabinet transformer and automatic control switch.